Dr Greene and Dr Barkley will converse and question each other, as well as share similarities and differences in their models and programs. You will discover the most current and practical strategies to work with your most challenging kids, to help reinforce positive change. 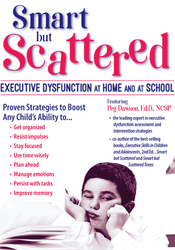 Take away proven tools to understand the causes of noncompliant, defiant, and oppositional behavior and be able to implement them immediately at home and/or school. Dr Russell Barkley is Clinical Professor of Psychiatry and Pediatrics at the Medical University of South Carolina in Charleston. He is a clinical scientist, educator, and practitioner who has authored numerous books and is the world’s leading expert on ADHD. Dr Greene is Associate Clinical Professor in the Department of Psychiatry at Harvard Medical School and the originator of a model of psychosocial treatment for challenging kids called Collaborative Problem Solving (CPS). He is the author of the highly-acclaimed books The Explosive Child and Lost at School. Details: Multi-disc DVD recording (1 hour, 29 minutes) with electronic manual and instructions. 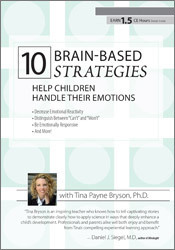 Articulate how the 3 ingredients of “Plan B” reduce the intensity and frequency of challenging behaviors. Characterize the multidimensional nature of oppositional behavior. Ross W. Greene, Ph.D., is adjunct Associate Professor in the Department of Psychology at Virginia Tech and the founding director of the non-profit Lives in the Balance (www.livesinthebalance.org). He served on the faculty at Harvard Medical School for over 20 years. Dr. Greene is the originator of an empirically supported model of psychosocial treatment for challenging kids now called Collaborative & Proactive Solutions (CPS). 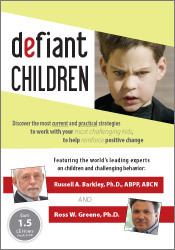 He is author of the highly-acclaimed books The Explosive Child and Lost at School and has also authored numerous articles, chapters and scientific papers on the effectiveness of the CPS model, the classification of and outcomes in youth with social, emotional and behavioral challenges and student-teacher compatibility. Dr. Greene’s research has been funded by, among others, the Stanley Research Institute, the National Institute on Drug Abuse/National Institutes of Mental Health, the U.S. Department of Education, and the Maine Juvenile Justice Advisory Group. He consults extensively to families, general and special education schools, inpatient and residential facilities, and systems of juvenile detention, and lectures widely throughout the world. 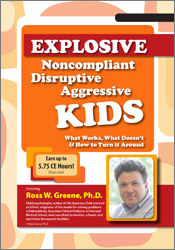 Ross W. Greene, Ph.D., is the originator of the Collaborative Problem Solving approach (now known as Collaborative & Proactive Solutions), as described in his influential books The Explosive Child and Lost at School. 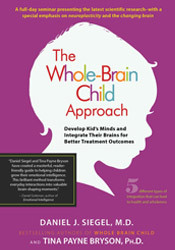 Having served on the teaching faculty at Harvard Medical School for over 20 years, he is currently adjunct associate professor in the Department of Psychology at Virginia Tech and Director of the non-profit Lives in the Balance (www.livesinthebalance.org), which provides free, web-based resources on his model and advocates on behalf of behaviorally challenging kids and their parents, teachers, and other caregivers. He lectures widely throughout the world and lives in Portland, Maine, with his wife and two kids.